Cadillac tonight held the world premiere of the 2016 CT6, elevating it to the top of its range and creating a new formula for the prestige sedan through the integration of new technologies developed to achieve dynamic performance, efficiency and agility previously unseen in large luxury cars. CT6 marks Cadillac’s long-awaited return to the global prestige luxury segment, and is one of eight all-new vehicles the brand will launch by the end of the decade as part of its $12-billion product investment to expand and elevate. Cadillac CT6 takes drivers to a higher threshold of involvement, with technologies that make them more aware of their surroundings, chassis systems – including active technologies – that make the most of control in all conditions, and powertrains led by an all-new Cadillac Twin Turbo engine that rewards with stirring power on demand. Passengers are ensconced in the brand’s ultimate expression of comfort, luxury and connectivity. The CT6 features one of the industry’s most advanced automotive body structures, an aluminum-intensive architecture that incorporates 11 different materials to achieve strength, performance and efficiency thresholds practically unmatched among the world’s elite luxury performance sedans. It is one of the world’s lightest and most agile full-size luxury performance sedans, with dimensions and spaciousness on par with BMW’s short-wheelbase 7-Series, but the approximate weight, agility and efficiency of the smaller Cadillac CTS – which is lighter than a BMW 5-Series. The CT6 is lighter than the BMW 5-Series, 6-Series and Mercedes-Benz E-Class. Cadillac focused on three pillars that would coalesce to deliver the CT6’s dynamic experience – and do so with higher levels of presence, elegance and technological innovation to help elevate Cadillac around the world. Auto Vehicle Hold – a driver-selectable feature that prevents forward/rearward vehicle creep when the driver’s foot is off the brake. It reduces fatigue during heavy stop-and-go traffic and improves vehicle control on steep grades. Wireless phone charging and OnStar 4G LTE with Wi-Fi hotspot. Generous rear-seat legroom – 40.4 inches (1027 mm) – and segment-best interior storage, including 2.2L center console storage volume. 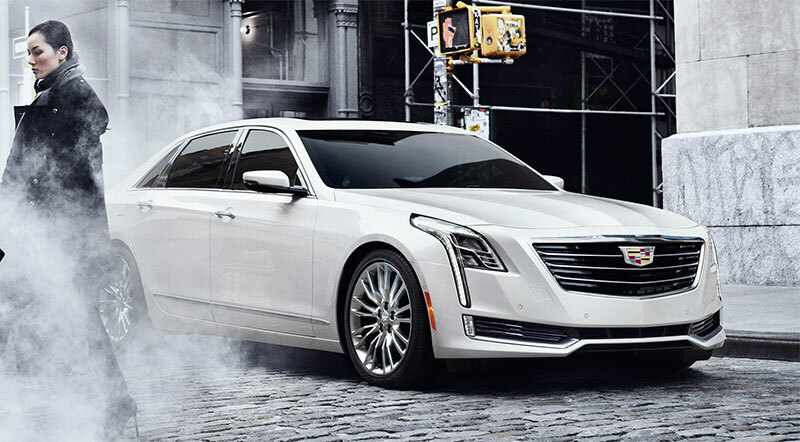 The body-in-white of the 2016 Cadillac CT6 is structurally lighter and stiffer than any other dynamically similar vehicle such as the BMW 5-Series or Audi A6. That state-of-the-art architecture is the foundation for its benchmark-establishing agility and vault-like solidity and quietness. The new architecture has a mixed-material structure with all-aluminum exterior body panels. Engineers conducted 50 million hours of computational analysis – including 200,000 structural simulations – in its development, generating 21 patents. Thirteen high-pressure aluminum die castings in the lower body construction reduce complexity and are significant contributors to the architecture’s low mass. The CT6 is approximately 218 pounds (99 kg) lighter than a comparable vehicle using predominantly high-strength steel. GM’s most advanced body manufacturing methods are used to fabricate the structure, including proprietary aluminum spot welding technology that is more efficient and helps reduce weight. Laser welding, flow drill fasteners and self-piercing rivets are also employed, along with roughly 591 feet (180 meters) of advanced structural adhesives. The CT6’s rigid, lightweight architecture is the foundation for its segment-challenging agility, enhanced by active-on-demand all-wheel drive, active rear steering and Magnetic Ride Control on the available Active Chassis System. The chassis system also balances responsiveness with segment-best isolation for exceptional refinement. In the front, the CT6 features a lightweight, aluminum-intensive high-arm multilink short-long arm front suspension. At the rear is a five-link independent suspension that uses multiple outer ball joints and cross braces for optimal handling and steering precision. Active rear steering with the Active Chassis System contributes to greater low-speed agility and high-speed stability. In parking lots, the turning circle is only 37 feet (11.4 m), comparable with the CTS, which has a 114.6-inch wheelbase vs. the CT6’s 122.4-inch wheelbase. Active-on-demand all-wheel drive is also part of the Active Chassis System, making the most of handling and stability in all weather conditions. Its lightweight, compact design and two-gear transfer case enable greater fuel economy than conventional fixed-torque all-wheel drive systems. All-wheel drive is standard on all CT6 six-cylinder models. Selectable Tour, Snow/Ice and Sport modes allow the driver to tailor the CT6’s advanced chassis system for practically any weather or road condition. A bold proportion dominated by a long hood and sleek upper body distinguishes the CT6, evolves the brand portfolio and reinforces the agility enabled by the lightweight architecture. The “face” of Cadillac evolves with the CT6 through new executions of the grille and signature lighting elements. The vertical light signature, for example, features new LED light blades that frame the front of the vehicle, with forward illumination from technologically advanced Indirect Fire LED headlamps. Proportion, craftsmanship and technology also define the CT6’s cabin. 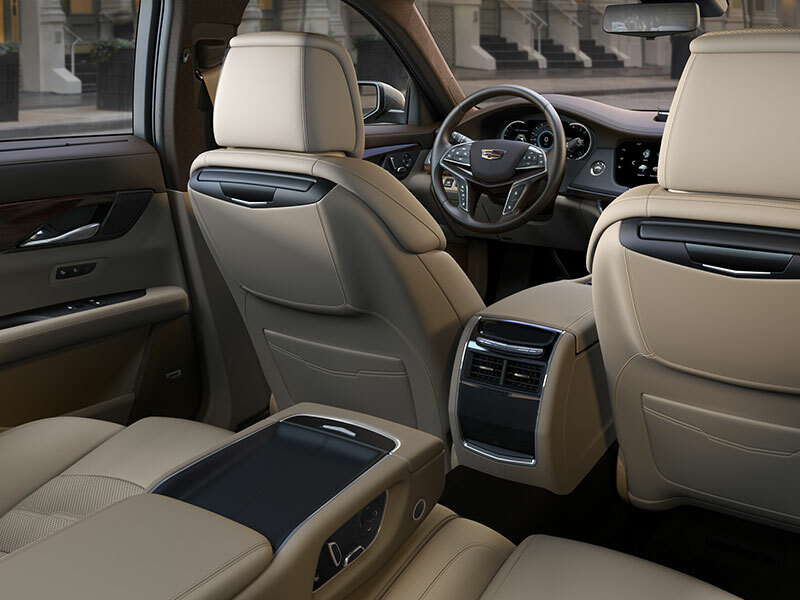 Cadillac designers aimed to deliver a bold, elegant and spacious interior. That elegance is expressed in curated environments and in surface sculpture featuring authentic materials, exquisite details and elevated executions of the brand’s signature cut-and-sew interiors. 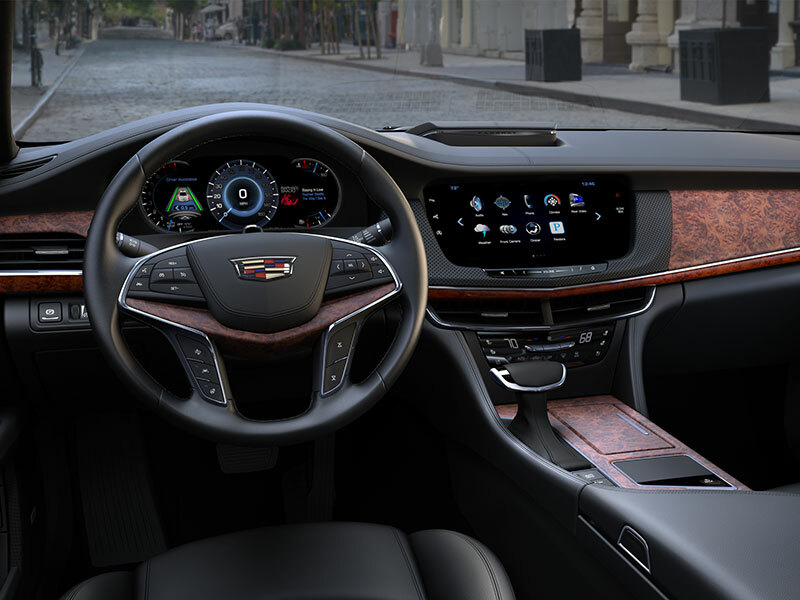 The CT6 uses state-of-the-art technology to reward its occupants with high levels of comfort, connectivity and safety. Production of the 2016 Cadillac CT6 begins at the end of 2015 for the North American market at the Detroit-Hamtramck assembly plant, which underwent a $384-million investment in tooling and other upgrades to support the manufacture of the CT6 and two other products. Chinese-market models will be assembled at an all-new facility in China starting in early 2016. The CT6 also will be offered in Europe, Korea, Japan, Israel and the Middle East. Production for those markets begins at Detroit-Hamtramck in early 2016.